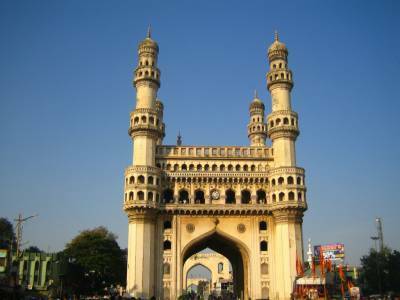 Charminar is one of the most renowned places of Hyderabad and a major tourist attraction. 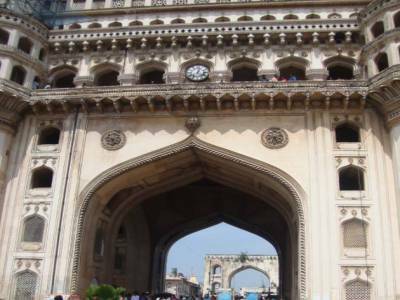 It was built way back in 1591 and is not only famous in Hyderabad but throughout India. It is a place having a rich heritage. 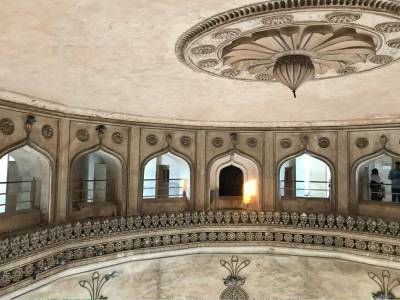 Built by Muhammad Quli Qutb Shahi with the purpose of celebrating the end of a fatal plague, it was the first structure to be constructed in new Hyderabad. It has got a mosque on its top floor. The base of the monument is square with 20m width on each side. The four arches on each of the sides 11m wide and 20m in height. It is famous for its surrounding markets as well. Charminar acts as the host of many local festivals such as the Ramzaan and many others. 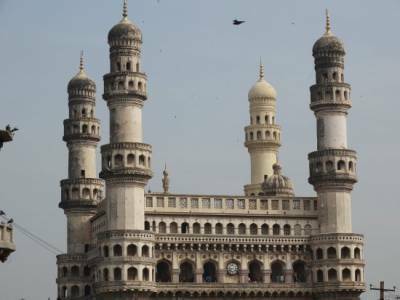 Charminar is located on the east bank of Musi river. Laad Bazaar lies to the west of it and the Makkah Masjid is situated to its southwest. On the official “List of Monuments” that has been prepared by the Archaeological Survey of India (ASI), Charminar has been listed as an architectural and archaeological treasure of the country. The name Charminar is the combination and translation of the two Urdu words “Char” and “meenar” or “minar” meaning “Four Pillars. The structure of Charminar is Indo-Islamic from the architecture point of view with a blend of the Persian elements. It took approximately one year to build the Charminar. The materials used in building it were Granite and Lime-mortar. There are plenty of options when it comes to the various means of reaching Charminar. It is very well-connected by roads and can be easily reached from any part of the city. TSRTC buses connect Charminar with some key bus and railway stations. Barring that, there are autos available from all parts of the city to reach the place as well. Indeed, touring Hyderabad without visiting Charminar makes the journey incomplete. 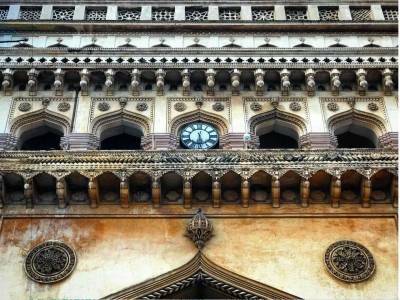 Get quick answers from travelers who visit to Charminar.